The story of Mia Rocks. Do you understand what your child is going through when they are alone at school or in a social setting? Most parents don’t catch it until it’s too late. Their child has been bullied and it has created severe problems at home with attitude and behavior. While you already understand the lasting effects a bully has on your children, did you also know bullying is stunting the mental growth of your child’s mind as well? 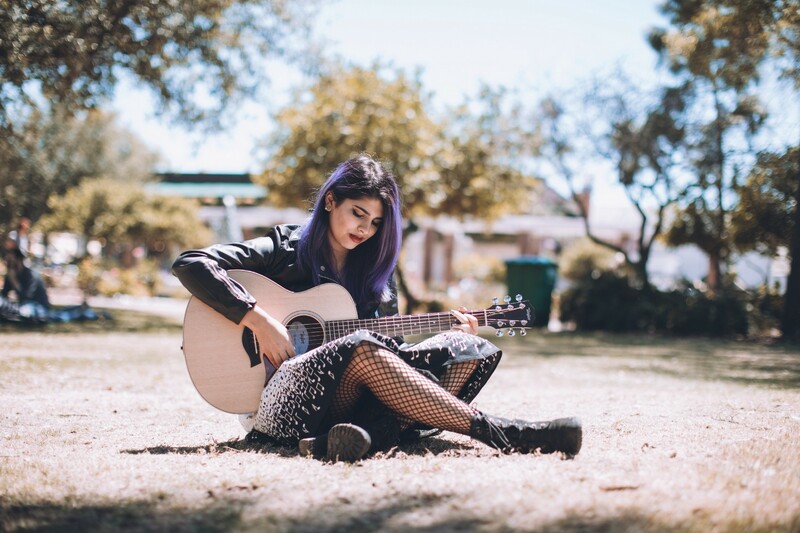 Enter Mia Rocks, anti-bullying advocate and musician. Mia shares her voice for change against bullies and it’s something you should open your eyes to and take seriously. She explains in this article how she had experienced bullies, how it left a mark on her life emotionally in her childhood and what she did to make positive changes in her life for the better. Mia strives to spread a positive message through her music to others who have been bullied like her. So if you or someone you know is going through a horrible situation where a bully is the predominant force in your life, Mia wants you to know there is a way out and a light at the end of the tunnel. When Mia Rocks was a girl in elementary and middle school, she was bullied a lot for her differences. Being a little chubby, wearing clothes which were a little different from everyone else, and being an outspoken tomboy all brought on bullying from all sorts of directions. As the bullying went on, Mia found herself and her attitude changing. She became angry at her circumstance which she directed at herself and her appearance. She didn’t understand how to direct her energy into a positive force which would motivate her to change for the better. Instead, she fell down the rabbit hole and began to chase the usual emotions which come with bullying. Mia explains how this is usually the way bullying goes. The receiver creates a persona for themselves which isn’t true at all. They then proceed to self loathe and their whole attitude changes about themselves and their situation. Bullying takes a lot out of the person who is on the receiving end, and, just like Mia experienced, it funnels you into a corner in which you have a hard time finding your way out of. Mia tells us how she fought back against the bullying at a young age and it came very natural to her. She doesn’t mean to say she had it easy, because she didn’t, it just suggests how her mental state changed and changed her. Lightning didn’t strike and she didn’t receive a divine revelation about what she needed to do, she simply had an epiphany. This epiphany changed her whole worldview of herself and the people around her. You may be in a similar situation, or know someone who is going through a similar situation right now. While it’s hard to be in these circumstances, it’s your state of mind which can determine whether or not you’re going to find your way out. Mia did with a marvelous thought. The epiphany was this — I don’t need to care what other people think about me. She took control of her thought processes. As you probably know, bullying is 20% physical and 80% mental. It’s how you perceive what they bully is thinking and doing towards you personally. Mia explains how one day she realized these people’s opinions about her didn’t matter. She needed to love herself for who she was. Today Mia proclaims this mental mindset all over the country where she advocates against bullying and helps others create a more positive mental state for themselves. “If I can get through the hardships of bullying, you can too”, Mia says. With a platform of music Mia is speaking out against her struggles and the struggles of everyone who is going through something like this in order to give you hope. Your mental state of mind is crucial in getting over the hump of defeating a bully. You need to appreciate yourself and your individuality as a person. You should revel in what you can give to society and how your worth stacks up in a hard position. You are worth something and you have to value yourself in order to create a strong mental attitude. Mia Rocks has been on the bad side of a bully before. She wants to make sure with her platform of music and other valuable resources that you love yourself first. It’s here where she wants to educate and help others adapt to bullying across the country by changing the outcome. You can have an epiphany just like Mia did, but you have to find yourself, appreciate yourself, and stop caring about what people think about you. You are different. You are beautiful. You are worth something to someone. Take these key attributes of a positive mind and create your own self worth in your situation. You want the bullying to stop in your life. It will happen when you find this and begin seeing yourself this way before others start to as well.